At 226 Multisport our elite team of coaches has the experience and skill needed to help you perform at your best – regardless of your experience or skill level. Our philosophy is Inspire, Motivate and Perform and we feel strongly that with the right coaching and support, athletes at all levels and abilities can fine-tune their skills and perform at their best. We proudly coach High performance athletes and high end age groupers wishing to excel in the sport! I'm an experienced triathlete having raced at all distances from Sprint to Ironman since 1987. 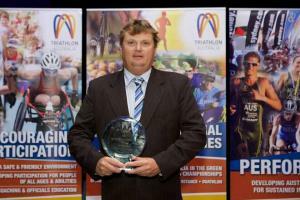 I have completed over 230 triathlons, 17 Ironman competitions in Australia and overseas. Some of my proud achievements include being a sub 10 hour “Ironman”, a double Hawaii Ironman, Untill 2011 I still raced competitively in the “40 - 44” age group. In 2009 and 2010 & 2011, I qualified for the Australian Sprint Triathlon Team placing 15th at the World Titles in Beijing. Athletes are required to be driven and willing to train hard and listen to our feedback.As we listen to the athletes feed back. Success. Coach Matthew Dymond has been notified of your message.